Techies are supposed to focus on the latest and greatest, the biggest and fastest. I've never been like that. Especially when it comes to cellphones, my computing needs are modest. So, consider the fairly low end ASUS ZenFone 3 MAX ZC520TL phone which Asus currently sells for roughly $140. It has a 5.2-in. IPS screen with a resolution of 1280x720. Many phones offer more pixels, but this is sufficient for me and fewer pixels should help with battery life. It has 2GB of RAM, 16GB of storage, an FM radio, a 4100 mAh battery and its made of metal, not plastic. On the downside, the Wi-Fi is limited to the 2.4GHz frequency band, it only works with AT&T and T-Mobile and the battery is not removable. Considering the price, it's good enough for some of us, myself included. The big Defensive Computing question is software. The ZenFone 3 ships with Android version 6 Marshmallow and there is no predicting whether Asus will keep up with bug fixes, let alone upgrade the phone to Android 7 Nougat. Anyone who wants Android bug fixes pretty much has to go with a Google Pixel phone, which currently starts at $650. Ouch. The Pixel hardware specs are better, of course, but for modest needs, like mine, it's like purchasing a steamroller to squash a fly. I used to think that BlackBerry could also be counted on for Android patches, but that assumption was put in question by a June 1 article in the Android Developers Blog that reported on phones "with a majority of deployed devices running a security update from the last two months." The only BlackBerry phone on the list was the PRIV, a model with a physical keyboard, which I don't want. The model I would have been interested in, the low end DTEK50, was not on the list. If the DTEK50 got bug fixes, it would be a bargain at $270. Asus did not have one device on the list. Of course, the ZenFone 3 is far from the only inexpensive Android phone with good enough hardware. The G4 Play is very similar to the ZenFone 3 both in terms of specs and price. The big differences are the plastic vs. metal body and the removable battery. But, I am done with Motorola. My last two phones were high end Motorola models and each had hardware problems. The first one stopped making phone calls, 90% of the time. Everything else worked fine, but nine times out of 10 it would not make or receive a phone call. On the next one, the power button went bad fairly quickly. Here again, it works most of the time, but far too often, the phone reboots rather than wake up, when the button is pressed. Recently, The Wirecutter changed their recommended budget Android phone to the Moto G5 Plus which sells for about $230. In most respects it's a big upgrade from the G4 Play and the ZenFone 3. While the screen is the same 5.2 inches, the resolution is 1920×1080. The RAM is either 2GB or 4GB, and the storage is doubled to 32GB. It has a fingerprint sensor, an aluminum back, a 3,000 mAh battery that can not be removed and runs Android 7 Nougat. But I wouldn't pay $2 for a Motorola phone. Other recommendations come from Dan Seifert of The Verge. Back in December he wrote about the best phones, and the cheapest recommended Android model was the OnePlus 3T, which now sells for $410. I have no experience with OnePlus devices, but neither have I forgotten last year's scare with Blu phones that shipped with spyware in their firmware. This has left me hesitant to trust new companies with unfamiliar names. I feel safer dealing with Asus, a company whose products I have purchased many times in the past. This may be unfair to the newcomers, but my priority is Defensive Computing. Plus, there is no warranty included when you buy the OnePlus 3T for $410. UPDATE. June 21, 2017. Another reason to skeptical of OnePlus; they apparently cheated on benchmark testing, more than once. See here and here. For a bit more money, the next cheapest Android phone that Seifert recommends is the Motorola Z Play. But, again, Motorola. ... budget phones tend to be slower at getting all sorts of updates, including major system over-the-air updates and small security patches. Motorola has traditionally been better than most when it comes to keeping its cheaper phones up to date, but you’ll still only rarely get one of the cumulative monthly security patches. Is Motorola better than most? My current Motorola phone, the one with the flaky power button is running Android 6.0.1 with bug fixes from Jan. 1, 2017. Pretty lame, especially considering how much I paid for it. The only Motorola phones to make Google's list are the Moto Z and the Moto Z Droid, both high end models. So, I am left with a stark choice of paying $140 for an Asus phone without bug fixes or $650 for a Pixel with them. I like Android, but a choice like this requires taking a step back. Speaking of after-sale support, I don't think I've ever gotten any. Google has abdicated support for their operating system just as Microsoft did with Windows. By the time I was on my third Android phone, moving my contacts to a new phone was critically important. I will never forget the frustration as Google, the hardware vendor and the cellphone company each offered competing solutions. This is no way to run an ecosystem. ... we need to know the company who made [our phone] and took our money is willing to be there to fix whatever needs fixing when it comes to the software it runs. 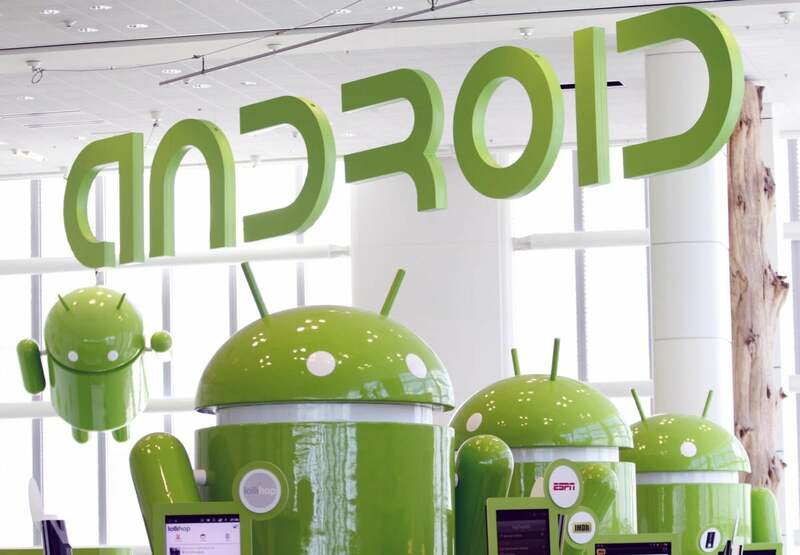 And unfortunately, you can't count on long-term support from any company in the Android space, even Google. There are plenty of reasons why, and most of them make sense. But that doesn't matter because Apple ... can do it. We should expect the same service from a company as big as Google or Samsung or LG. All this makes it that much harder to justify any high end Android phone. I signed up for Google’s Project Fi wireless service at the end of 2016 ... The only phones that work with Project Fi are recent Nexus and Pixel devices. While I’m a long-time Nexus loyalist, the growing number of $200 – $400 smartphones with strong specs is looking more and more tempting ... I managed to pick up a $249 Nexus 5X when they were still available, and it works just fine with Project Fi ... I definitely don’t want to spend $649 on a phone ... if my Nexus 5X eventually starts to boot loop or runs into other problems, I’m not sure what I’ll do. Years back, the personal computer industry was surprised by the popularity of netbook computers. They were radical, in that they were low end devices in an industry focused on faster as better. Many people had modest computing needs that the industry was not addressing. The ASUS ZenFone 3 strikes me as the same thing, hardware that's good enough for someone with modest computing needs. But, even netbook computers got bug fixes. Plus, in at least one respect, the ZenFone 3 is more than bottom of the line. It comes with a fairly high capacity 4100 mAh battery which, along with the relatively low resolution should lead to great battery life. Ben Patterson, writing in PC World, lamented recently that "... as Android phones get more and more powerful, battery life seems to keep shrinking. Indeed, my Nexus 5X can't make it through the day without an afternoon charge, and that's with only a moderate amount of use." Still, being a Defensive Computing person, leaves me in a quandary. Are Android bug fixes worth $510? I'm not sure they are. Neither is the Nexus-owning Linder, who wrote that "... I love getting monthly security updates directly from Google, [but] I’m not sure I want to pay $600 or more for a phone when you can get great phones for half the price." And, a good enough phone, for a quarter the price. Gambling on Asus providing some patches, may well be the logical approach. Heck, I paid through the nose for my current phone and it's six months behind on patches. How much worse could Asus be?